The timeline presents the League of Legends World Championships prize pool from 2012 to 2018. 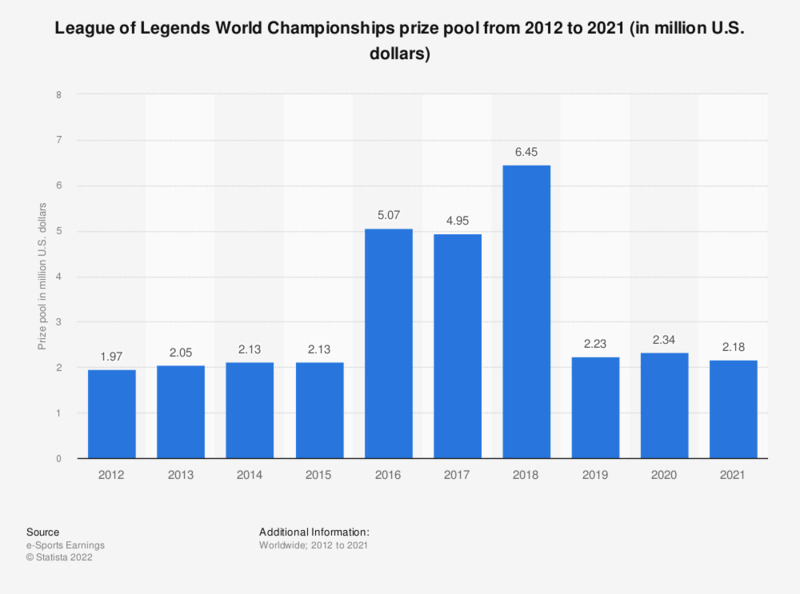 In 2018, the LoL World Championship, which took place in various cities across South Korea, had a prize pool of 6.45 million U.S. dollars, up from 4.95 million a year earlier. Everything On "League of Legends" in One Document: Edited and Divided into Handy Chapters. Including Detailed References. Statistics on "League of Legends"
How many hours do you watch video games online per week?